Ethyle Cooke, Leland Benham, Harry Benham, Lila Chester, and The Thanhouser Kidlet Helen Badgley in the Center. Poster Image Courtesy David Moss. By January 1915 scriptwriter Lloyd F. Lonergan, who had been named as studio manager following the death of Charles J. Hite the preceding August and who had subsequently resigned, was comfortably situated at his new desk at the Universal studio in Coytesville, New Jersey. The Moving Picture World, January 2, 1915, reported: "Howell Hansel, director of Thanhouser's famous success of The Million Dollar Mystery, has been put in charge of productions at the New Rochelle studios, taking the place of Lloyd Lonergan, who recently resigned from that company." Hansel was soon occupied with the problems of Zudora. Lonergan's position as chief scriptwriter had not been filled, and there was no promising candidate in the offing. In recent times Lonergan's scenarios had been none too good, probably because of the other demands placed upon his time. Dr. W. Edgar Shallenberger was in charge of the company and represented the interests of the stockholders, while Dr. Addison E. Jones tended to the day-to-day management of studio personnel. However, the two were no match for Charles J. Hite, and they failed to earn the admiration and loyalty of their employees, many of whom left to gain work at other studios. Reviews of Thanhouser films were on balance favorable, especially regarding the acting and photography, but there were numerous complaints of inadequate scripts. As it turned out, the year 1915 was to be one of great transition and change for the Thanhouser Film Corporation, and the situation in December was to be a far cry from that in January. In the industry the emphasis was still on one-reel subjects, although by 1915 the larger studios were shifting their emphasis to productions of four or more reels in length. Indeed, 1914 saw the Jesse L. Lasky Feature Play Company release such four-and five-reel subjects as The Squaw Man, The Call of the North, and The Virginian, garnering hundreds of thousands of dollars' worth of profit. The Famous Players Film Company, incorporated in 1912 by Adolph Zukor, also turned in an impressive performance and was an industry leader. In early 1915 D.W. Griffith's monumental film epic, The Birth of a Nation, created a sensation and garnered more paragraphs of editorial comment than accorded to any other American film up to that time. While Thanhouser had produced a number of two-reel and three-reel films and an occasional four-reel picture in 1914, none had captured the public's fancy beyond that of an ordinary release on the Mutual program. The spark that Lasky and Griffith films had was missing from the Thanhouser product. Five-reel films were capturing the attention of reviewers and the public, and in this milieu Thanhouser's one-reelers, which constituted the bulk of the New Rochelle studio's output, were often ignored by the trade press. In-depth reviews of short subjects became increasingly infrequent. In The Moving Picture World Note Louis Reeves Harrison discussed the 10-reel film, noting that there was little to be found in literature or stage plays which could be adapted to pictures of that length. However, music especially composed for such films might well insure their success. In theatres across the nation music was becoming increasingly essential to the successful exhibition of longer films. Responding to this trend, Thanhouser issued musical scores for certain four-reel subjects in the last part of 1913. Although Thanhouser furnished sheet music for several 1914 films as well, after this time the idea seems to have been dropped. By early 1915 most exhibitors had written checks into the thousands of dollars for Wurlitzer, Robert-Morton, or other pipe organs or for other musical devices. Clearly, music was here to stay. Newly constructed theatres were larger and more ornate. The day of the nickelodeon with its five-cents admission to a nonstop program of one-reelers was largely past, although in some remote areas a nickel would still purchase a ticket. By early 1915 the star system was firmly entrenched. Whereas in 1910, when Edwin Thanhouser released his first film, actors and actresses were rarely mentioned, such was not the case in 1915. Mary Pickford, Charlie Chaplin, and a host of others endeared themselves to millions of theatregoers all over the world. Publications such as The Motion Picture Magazine and The Photoplay Magazine, in addition to movie columns in hundreds of daily newspapers, told of the lives, hobbies, romances, and adventures of different players. Soon, it seemed that the players were more important than the films in which they played, and a typical cloth banner strung across the front of a theatre might read "Charlie Chaplin Here Today," without mentioning the title of the film in which he appeared. The management of the Thanhouser Film Corporation believed that the pool of unemployed actors from the legitimate and vaudeville stages represented a never-ending source of film personalities, and that to pay high salaries for "name" players was not necessary. Although a generous remuneration had been given to stage actress Maude Fealy when she performed before the Thanhouser cameras, the results at the box office were mixed. Clearly, she was not a source of windfall profits for the studio. In the meantime most acting was done by stock players such as Florence LaBadie, James Cruze, Mignon Anderson, and Muriel Ostriche. That such players could earn profits was proved by the success of The Million Dollar Mystery, the Princess comedies of Muriel Ostriche and Boyd Marshall, and the parade of regular one- and two-reel releases on the Mutual program. None of these personalities was truly a star in the Chaplin or Pickford sense. 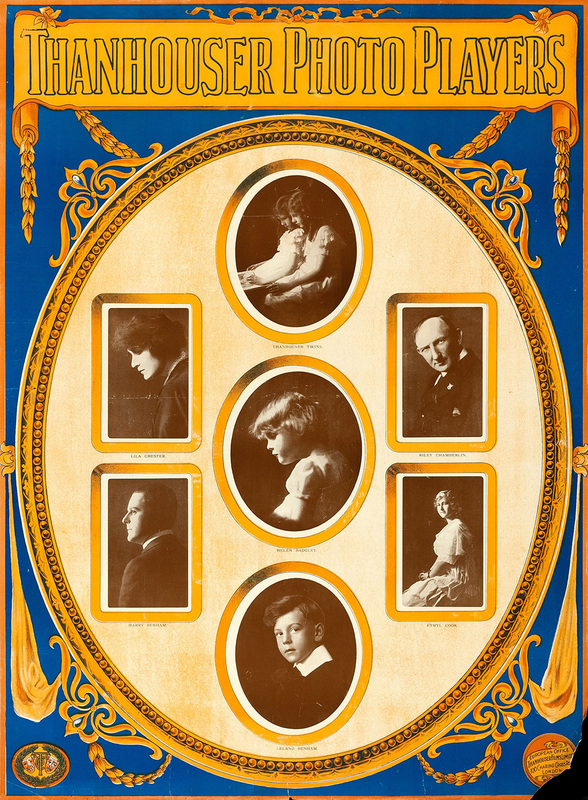 To bolster their personal finances and to compensate for the lack of satisfaction working at the studio, numerous Thanhouserites appeared on the stage in late 1914 and early 1915. For example, on January 2, 1915 The New Rochelle Pioneer noted that on the coming Wednesday there would be a special entertainment for the general public at Germania Hall, to be arranged by John Lehnberg with the assistance of Sidney Bracy. The musical program was to feature Billy Sullivan, Gordon Hollingshead and Jack Sullivan, who were to give solos, and was to include the talents of Dave Keleher, James Dunne, John Reinhard, Harry Pease, and Ray Dunne. A week later the same newspaper reported that the event was very successful and that about 400 people attended. At a meeting of the Development Department of the Association, Tuesday night, President Jere Milleman reported that Edwin Thanhouser has arrived at no decision concerning where he will locate his proposed motion picture factory which he is soon to establish. A committee of the Association has been negotiating with the movie man, and several different propositions have been placed before him. He will decide next week. Edwin Thanhouser is still undecided about the location for his proposed motion picture plant. President Jere Milleman of the New Rochelle Association has submitted eight different factory sites to him, but the movie man will not make a decision as to whether he will locate in New Rochelle or Mount Vernon until some other plans of which he has not spoken materialize. There is absolutely no truth in the rumors that Mr. Thanhouser has settled upon a site, although it has been stated that he intends locating somewhere in Westchester County.